Saunas have been in use for thousands of years, originating first in Northern Europe. Countries such as Finland had a sauna in nearly every home. Over the years, saunas have evolved from fireplaces, stones and hot water thrown on top for steam to the modern versions of saunas we know today. A home sauna can help you unwind and relax in the comfort of your home. Outdoor Living, LLC, is an authorized dealer of world-class Finnleo saunas. Customers can choose from a traditional sauna or infrared sauna. Whichever type you choose, research has shown they may offer tremendous health benefits. Heart Health: Sauna heat can have a positive effect on lowering blood pressure, and frequent sauna use has been shown to reduce the risk of heart attacks, strokes and hypertension. Alzheimer’s Prevention: Some studies have found frequent sauna use is linked to lower risk of dementia and Alzheimer’s disease. Physical Fitness: Sauna use can help with muscle recovery after exercise. Heat from saunas can help loosen stiff muscles, aid in pain relief and may even contribute to muscle growth and recovery through increased circulation. Stress Reduction: Some people have experienced lower stress levels related to frequent sauna use thanks to a release of endorphins when using saunas. Antidepressant: Some studies have found that saunas can help ease the symptoms of depression since short periods of elevated body temperature can be a natural antidepressant. Burn More Calories: Increasing your body heat can help you burn calories – it may raise your metabolic rate up 20 percent from regular sauna use. 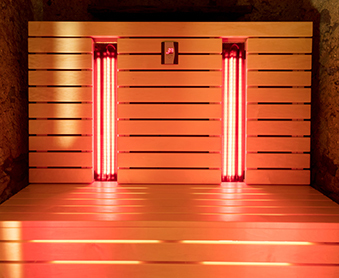 The bottom line is, saunas help you relax, unwind and release body toxins in a natural, no-stress way. Whether you’re in the market for a traditional sauna or infrared sauna model, you can find a wide range of choices from our sauna inventory at Outdoor Living, LLC. Contact us at 717-504-8627717-504-8627 or stop by our showroom in Chambersburg, PA, on 1782 Lincoln Way East to talk to us in person and discuss your options.